Now in its seventh year, Make Music Pasadena, today, announced this year's line-up that features Surfer Blood, Yuna, Tennis, Saint Motel and Andy Allo with more bands and special guests announced in the weeks ahead. 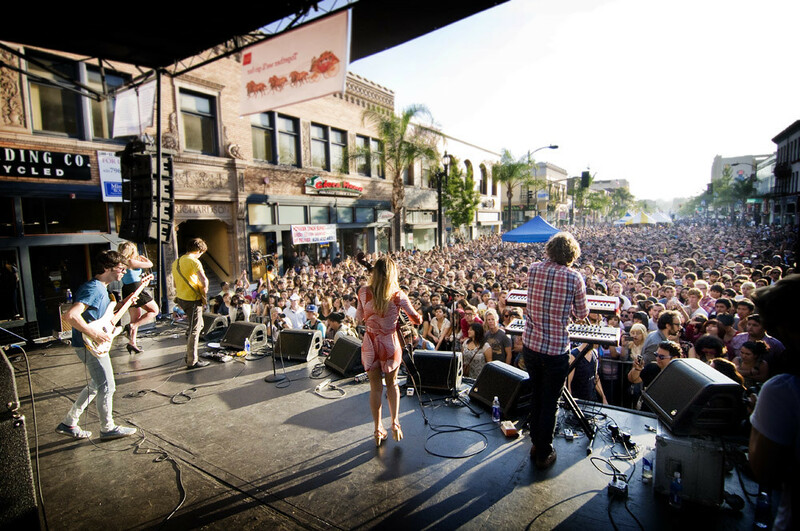 Taking place on June 7th, Make Music Pasadena, the annual free outdoor music festival and dubbed THE LARGEST FREE MUSIC FESTIVAL on the west coast, is fast becoming one of the premiere music festivals in the country. Other bands announced for the annual festival are: Finish Ticket, Moses Sumney, Wild Ones, Run River North, Shelby Earl, The Record Company, Ester Rada, The Second Howl, Ted Z and the Wranglers, DJ Slow Graffiti, Max and the Moon, Sonsoles, She Her and I, Celeigh Chapman and many more! Make Music Pasadena attracts over 35,000 during the course of the day, spanning 8 blocks with multiple outdoor stages while hosting over 100 bands that features every musical genre; from classical, rock, indie, Latin and folk. Unlike other cities whose music festivals charge you an entry fee, Make Music Pasadena is completely free for all ages. Previous performers included Grouplove, Best Coast, Zola Jesus, Ra Ra Riot, Yacht, Grimes, SOKO and the Cults. Click HERE to get more info on Make Music Pasadena.